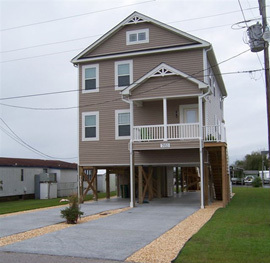 Future Homes, a local general contractor, has been building homes in Atlantic Beach, NC since 1993. The owners of Future Homes grew up in Carteret County, and are committed to the community and the home building industry. Future Homes is a on-your-lot custom builder that focuses on modular technology. 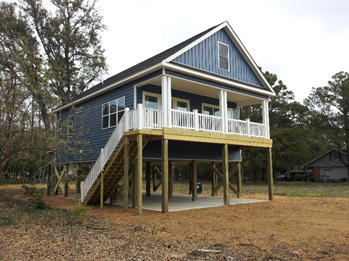 Future Homes has extensive experience in working with flood zones, cama requirements, piling foundations, storm water requirements, wind codes, and all the other aspects of building along the coast. Future Homes will help you with lot evaluation, home design, financing arrangements, and complete home construction. Contact Future Homes today to speak with a Project Coordinator and/or visit our model homes. * Each location is independently owned and operated.